The Financial Times offers an interesting piece highlighting the views of Lenovo CEO Liu Chuanzhi on Steve Jobs and Apple's efforts to penetrate the rapidly-growing Chinese market where Lenovo leads in PC sales with 30% of the market. In particular, Liu notes that Lenovo is lucky that Apple "doesn't care about China" or else it could see itself being "in trouble". Speaking of Apple's chief executive, Lenovo's founder and chairman, told the Financial Times: "We are lucky that Steve Jobs has such a bad temper and doesn't care about China. If Apple were to spend the same effort on the Chinese consumer as we do, we would be in trouble." 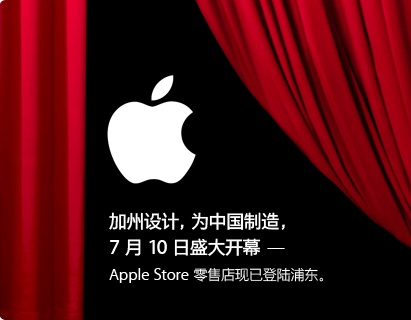 Evidence is mounting, however, that Apple may be beginning to take the Chinese market more seriously, with the company announcing earlier this year that it plans to open up to 25 Apple retail stores in the country within the next two years. In fact, the company is planning a grand opening this weekend for its first store in Shanghai, the company's second store in the country following the Beijing store opened in time for the 2008 Summer Olympics there. As Silicon Alley Insider points out as well, Apple executives noted during the company's most recent earnings conference call that revenue from "greater China" including Hong Kong and Taiwan totaled $1.3 billion for the first six months of fiscal year 2010, up over 200% year-over-year.